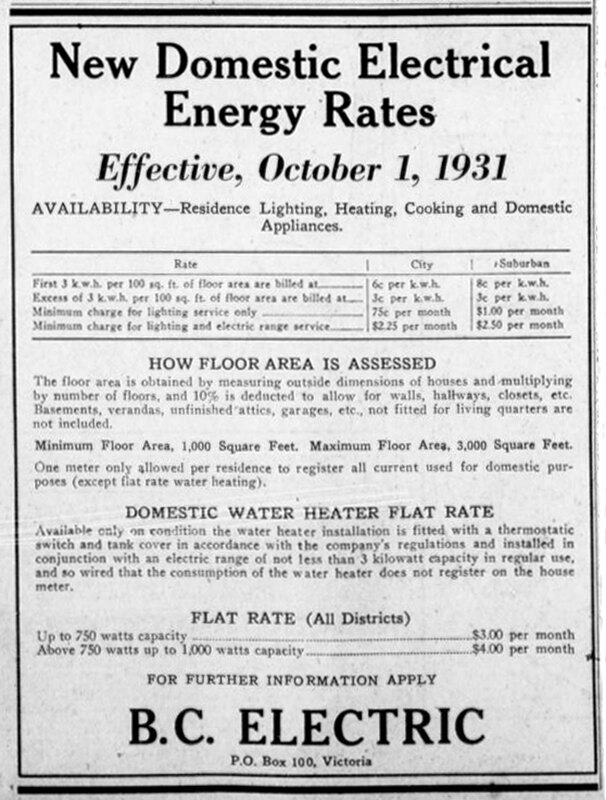 Here is a 1931 advertisement from B.C. Electric, the forerunner to today’s B.C. Hydro, showing domestic electricity rates.